A model of connected teaching is needed to complement the model of connected learning. 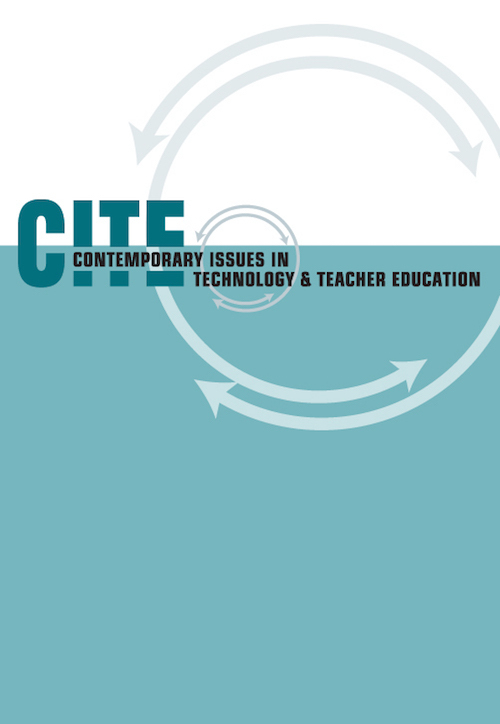 This special issue of Contemporary Issues in English Language Arts Teacher Education shares some innovative strategies teacher educators are using to prepare teachers to become connected educators. Each of the articles in this issue engages with the connected learning perspective of technology and education by focusing on an expansive ecology of learning and positioning tools as valuable insofar as they contribute to that ecology. Mirra, N. (2018). From Connected Learning to Connected Teaching: Editor’s Introduction. Contemporary Issues in Technology and Teacher Education, 18 (2), 200-202. Waynesville, NC USA: Society for Information Technology & Teacher Education. Retrieved April 18, 2019 from https://www.learntechlib.org/primary/p/182460/. Ito, M., Gutierrez, K., Livingstone, S., Penuel, B., Rhodes, J., Salen, K., Schor, J., SeftonGreen, J., Watkins, S.C. (2013). Connected learning: An agenda for research and design. Irvine, CA: Digital Media and Learning Research Hub.